CORVALLIS, Ore. – Streams and rivers could pump carbon dioxide into the air at increasing rates if they continue to warm, potentially compounding the effects of global warming, a new worldwide analysis has shown. To reach that conclusion, an international research team conducted the first continental-scale study of carbon flows into and out of streams across six major climatic zones. They collected data in watersheds from Puerto Rico and Oregon to Australia and Alaska. In each one, scientists analyzed the balance between photosynthesis — which uses atmospheric CO2 to generate plant material such as roots and leaves — and respiration, which pumps CO2 back into the air. The scientists published their results this week in the journal Nature Geoscience. The issue is important because the world's rivers and streams exchange carbon with the atmosphere at rates that are comparable with land-based ecosystems and the oceans. If global warming continues, an increase in stream-based carbon emissions could add to the concentration of heat-trapping CO2 in the atmosphere. 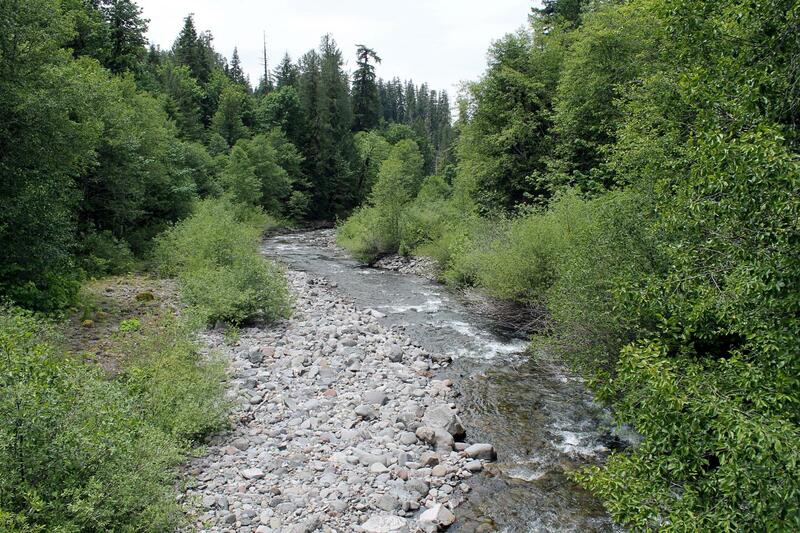 "This paper is the first to look at the effects of climate change on stream metabolism at the continental scale using field observations," said Alba Argerich, co-author who monitored McRae Creek and Lookout Creek in the H. J. Andrews Experimental Forest east of Eugene, Oregon. "This approach takes into consideration the complexity of an ecosystem, as opposed to controlled experiments where you recreate simplified versions of an ecosystem." Argerich and other scientists monitored streams for water temperature, dissolved oxygen and sunlight at the water surface. The researchers also simulated the balance between net primary production (the product of photosynthesis by all organisms in the stream) and respiration under a 1-degree Celsius rise in stream temperature. The net result of the simulations, they reported, was a 24 percent shift toward more respiration and CO2 emissions. However, not all streams are projected to respond in the same manner. The shift toward more CO2 emissions appears to be more pronounced in warmer streams, the scientists found, while colder streams might actually see an increase in net primary production. Carbon cycling in streams can also be affected by other factors such as the plants and microbes in the stream ecosystem and nutrients flowing into the water from surrounding lands. Argerich conducted her work as a researcher in the College of Forestry at Oregon State University. She is now an assistant professor in the School of Natural Resources at the University of Missouri. In previous work at the H.J. Andrews Forest, Argerich showed that small streams can export surprising amounts of carbon both downstream and to the atmosphere. "This paper confirms the role of streams as an active source of CO2 to the atmosphere, which can be even become more important as global temperatures increase," she said. Chao Song, lead author at the University of Georgia, was joined by 26 co-authors from the United States and Australia. Other watersheds represented in the study included the Luquillo Experimental Forest in Puerto Rico, Litchfield National Park in Australia, Konza Prairie in Kansas and Caribou-Poker Creeks Watershed and Toolik Lake Field Station in Alaska. The research was supported by a grant from the National Science Foundation. The H.J. Andrews, Luquillo and Konza Prairie are part of the NSF-supported Long Term Ecological Research network.